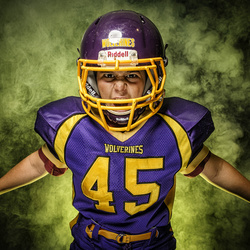 My friend Max who is a running back for the local middle school team the Wolverines agreed to help me out with a little practice on my studio lightning. 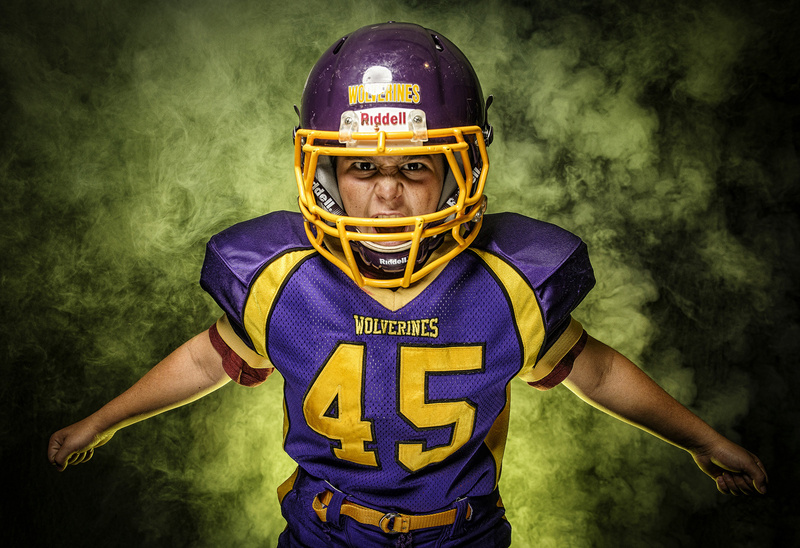 We set up a studio in his garage, using a four light set up with a fog machine. Real worldclass 5 Stars voted!